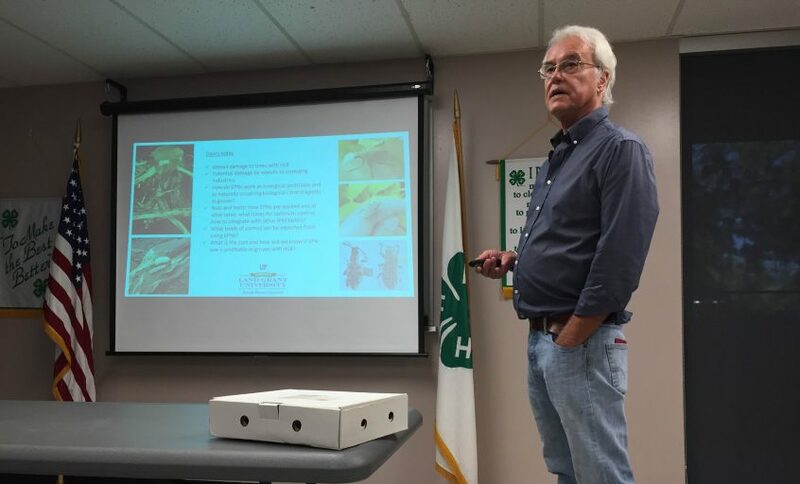 University of Florida professor Larry Duncan presented the latest research on using entomopathogenic nematodes (EPNs) to control Diaprepes root weevil (DRW) in citrus to approximately 30 growers on June 30 at the Hardee County Extension Service office in Wauchula. The combination of HLB with DRW intrusion has created a situation that will accelerate the destruction of most infected trees. 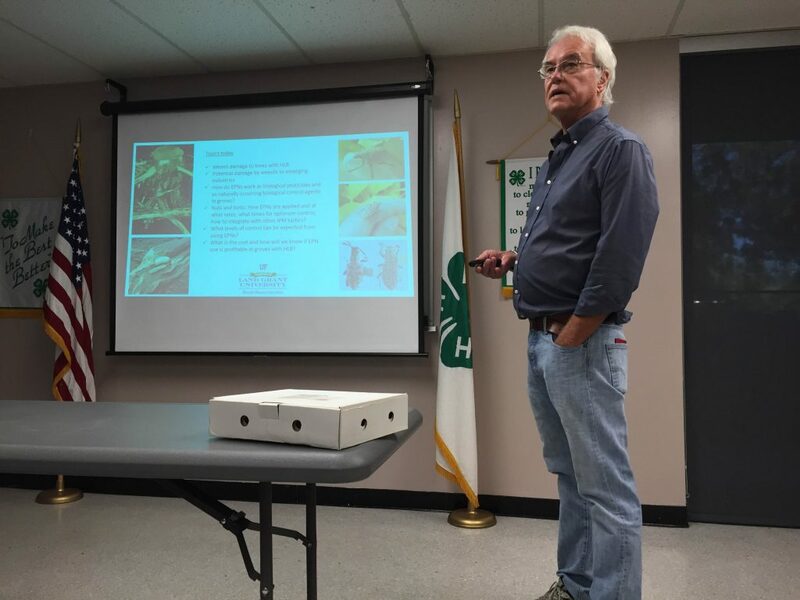 DRW will also migrate to non-citrus crops in Florida, with infections being found in blueberry, strawberry and peach crops as well as some nursery stock. 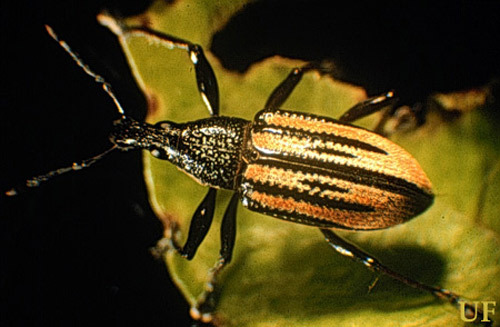 Applying EPNs twice a year has proven to be an effective treatment against DRW in combination with other pest management practices. A product will be reintroduced to the market in early July by BASF that has a history of being very effective against DRW. The product is Nemasys R, previously known as BioVector 355 (Steinernema riobrave), a beneficial nematode that attacks DRW eggs and larvae. Each box of Nemasys R contains two trays with 1.5 billion nematodes each, for a total of 3 billion nematodes per box. The estimated application cost is $28/acre, based upon using one box per 15 acres that is wetted 25 percent. The EPNs must be refrigerated and kept cool right up until they are prepared for application, preferably via microjet irrigation. A beneficial side effect is that EPNs control the larvae that damage roots, which is an entry point for phytophthora.